Egg Attack - EA-020 STAR WARS Episode V Millennium Falcon Floating Version: the world’s first floating Millennium Falcon. 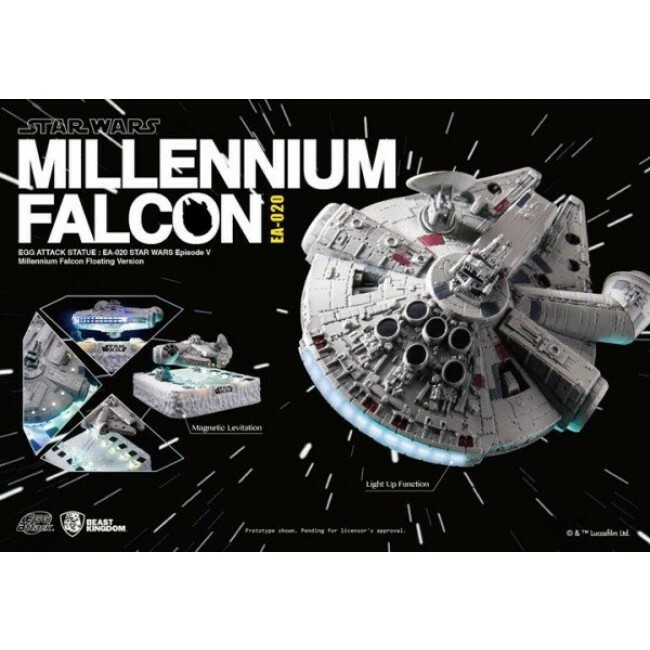 The product uses electromagnetic attraction and repulsion to make Millennium Falcon floats on air! 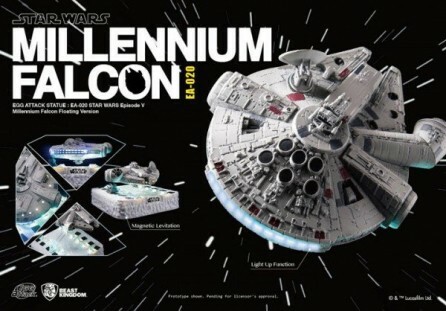 Each Egg Attack - EA-020 STAR WARS Episode V Millennium Falcon Floating comes with an Echo Base magnetic levitation base. 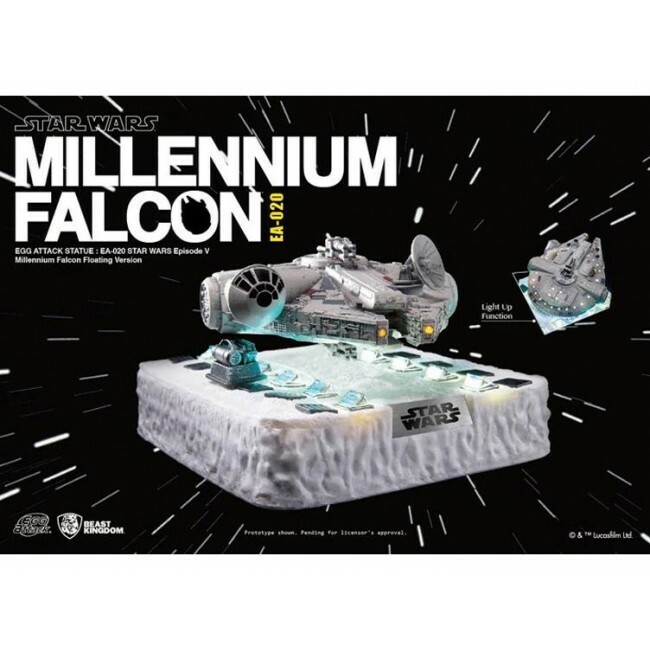 · Comes with Echo Base magnetic levitation base.